Expert witnesses are professionals who have the requisite knowledge in their particular field to give an informed opinion to a Court in a legal matter. You can become an expert witness in a wide range of professionalisms, ranging from mechanical engineering to medicine. The most common area of law where expert witnesses are required is the tort of negligence (which includes personal injury and clinical negligence). What does being an expert witness actually involve? In the context of personal injury, e.g. a traumatic dental injury following a road traffic accident a report from a dental expert is necessary to establish what dental treatment the injured person requires and what future complications they may have as a result of that traumatic injury. 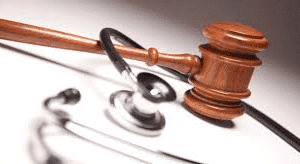 The position in the context of clinical negligence is slightly more complicated. As a solicitor, I will call upon the expertise of a dental expert witness to review clinical records and radiology and comment on whether the treatment fell below the standard expected of a reasonably competent dental practitioner and whether that treatment has caused any damage to the patient. That is in essence the test for negligence and it is for the dental expert witness to address that test in a medico-legal report. Most of the time this initial opinion can be provided on the papers alone, without the need for an examination. Later on in the claim, we often ask the patient to be examined and for a costed treatment plan to be put together (treatment that has arisen due to negligence). I am a solicitor specialising in dental negligence claim and the majority of claims will not need to be issued at Court and adequate compensation is obtained for the patient within the ‘pre-action’ stage. This means that in most claims you will not need to attend Court and your report will be enough for me to settle the claim. However, in some claims an amicable early settlement can not be reached and your opinion will need to be tested by a Barrister for us to assess whether we are able to issue Court proceedings. If Court proceedings are issued, there is always the risk that your opinion will also be tested by a Judge and it is very important for you to be informed and robust in your views. How and why would I want to be an expert witness? Some dental expert witnesses I have spoken to consider medico-legal work to be an intellectual challenge, particularly when commenting on a complex negligence claim. Furthermore, dental practitioners will already have some experience with the law, e.g. legal requirements for informed patient consent, and find the increased interaction with the legal profession interesting. Of course, it goes without saying that there is also a monetary incentive as you are entitled to charge an hourly rate for your medico-legal reports and attendance. There are a number of expert witness training courses available, with the main provider of these courses being Bond Solon. As a solicitor, when I look at CV’s of potential expert witnesses I will look at whether a course of this nature has been undertaken as it indicates that the expert witness understands the complexities of the test for negligence. Of course, as a solicitor I am unable to provide any first hand experience of actually working as an expert witness. If you would like more information about becoming an expert witness and would like to hear from a dental practitioner that already carries out medico-legal work then please be aware of our upcoming seminar on 27 March 2017 in our London office. Please see the following link for further details of how to join us for this seminar and the topics of discussion.